Dubai, UAE: 14 March 2019: Reducing the tedious and time-consuming task of cleaning is empowering. Today, cordless and lightweight robot vacuums take cleaning to a whole new level with their versatility and efficiency. It’s no surprise that consumers are beginning to prefer smart technology such as these robotic appliances over traditional canister and stick vacuum cleaners, with robots accounting for 20 per cent of the market worldwide. While earlier robotic vacuum cleaners were limited in suction power, edge-cleaning capabilities and obstacle navigation, the latest models function as more than a simple cleaning and connected device. Robot vacuums today offer smart home connectivity, voice control, scheduled cleaning, hassle-free maintenance, intelligent navigation and much more. A recent report stated that the global robotic vacuum cleaner market is expected to cross USD 3 million by 2021. Robotic vacuum cleaners are increasingly marking their presence among end-users worldwide. The floor care segment of the market offers a lucrative opportunity for vendors as the demand for floor care robotic vacuum cleaning devices has been increasing globally. 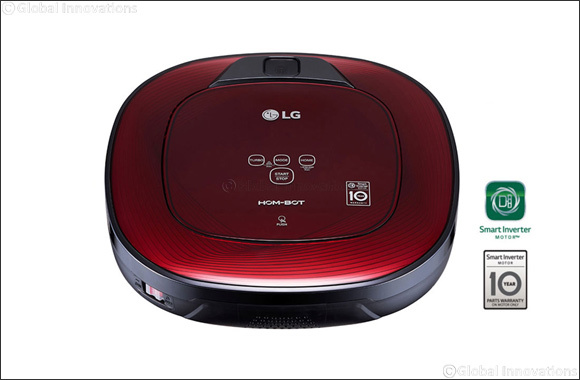 The demand for robotic vacuum cleaners is growing at a phenomenal rate across the world. One of the key reasons for the growth is the increase in domestic use of the robotic vacuum cleaners, as they are less time consuming and easy to use, is going to propel the sale of the robotic vacuum cleaner.